Fact: With twangin’ geetars and cowboy boots, Tom Petty’s Heartbreakers swung akin to a jazz big-band. This, as I was witness, was one of rock’s supreme collaborations. You’ll never hear more forceful renditions of “Lenny Bruce” “In the Garden,” “When the Night Comes Falling from the Sky,” and “Just Like a Woman”– prominently featuring Benmont Tench and a gospel choir of Queen Esther Marrow, Madelyn Quebec, Debra Byrd, and Elisecia Wright. 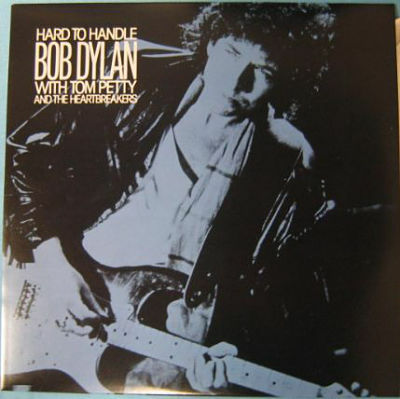 Captured at a time when both the band and their leader(s) sorely needed to rekindle the old fire whilst navigating a decade which oft celebrated sizzle over substance - Hard to Handle (1986) emerges as a bona fide classic and a reaffirmation of art over artifice. Late great bassist Howie Epstein plays the pocket beautifully with few graces notes in all the right places. Of course, we all know that great songs make for great basslines. And who other than Tom Petty could get away with a top hat on stage in the service of his Bob-ness?